Men experience heart disease, high blood pressure, and diabetes at higher rates than women, but that’s not where the health risks end. In addition to these common conditions, men can face gender-specific issues like prostate cancer. For these reasons, regular screenings and physical exams are important. 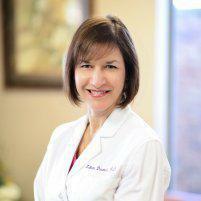 Visit the practice of Lilette Daumas, MD, in Houston, Texas, today to stay on top of your health. Physical exams are an important part in anyone’s health, but they’re especially important for men. Many of the health problems that affect men more often than women show no symptoms until the diseases have progressed to a dangerous degree. Heart disease, diabetes, arthritis, and high blood pressure all affect men more often than women, and they can all be detected with regular screening tests. What are the most common health issues affecting men? An enlarged prostate, sometimes called benign prostatic hyperplasia, is perhaps the most common men’s health issue. Men over the age of 50 have a 50% chance of suffering from BPH, and the odds only go up as you age. The frustrating condition most often produces symptoms like difficulty urinating or erectile dysfunction. As the second-most common type of cancer, prostate cancer typically displays no symptoms, so screening for it is extremely important. A simple prostate exam can show any risk you may have, allowing you to begin treatment as quickly as possible. Difficulty achieving or maintaining an erection on occasion can happen to anyone, but when it’s a consistent and serious problem, help is available. If ED is affecting your quality of life, putting stress on you or on your relationships, then talk to Dr. Daumas about any lifestyle changes you can make or any medication that may help improve your condition. When should I start getting prostate exams? Regardless of other risk factors, all men should begin getting prostate exams by age 50. These exams usually consist of digital rectal exams and blood tests, and typically occur every year or so. Depending on your family history or the presence of risk factors, Dr. Daumas may recommend you start screenings even earlier, or that you get them more often than what is generally recommended. If you’re interested in making an appointment or if you have any questions, call the office today or book an appointment online.